Our clubhouse, at the corner of 6th and Trimble, is located in one of the loveliest parts of Vancouver. 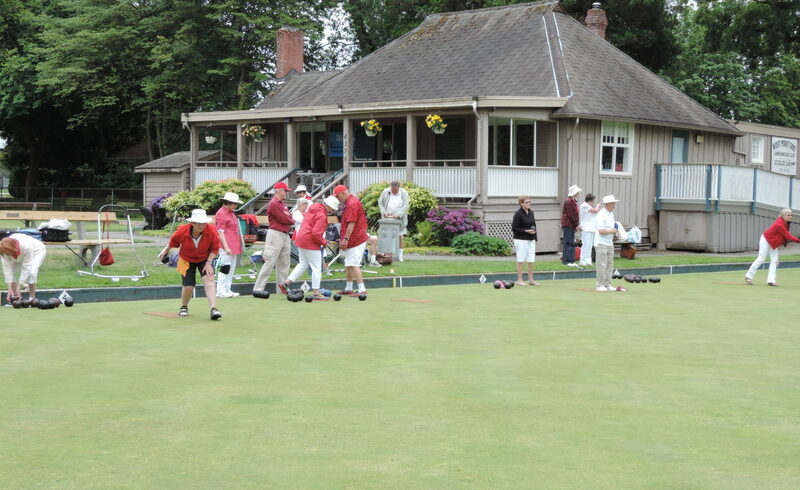 We have two greens (one lighted for evening play) with a total of sixteen rinks, so there is always plenty of room for everyone to bowl or play croquet. Our location is quiet with a lot of accessible free parking. Our view of the mountains is unparalleled; even non-bowlers enjoy the club. New Members of all ages and abilities are welcome. Feel free to come down to the club and try your hand at these addictive pastimes!